Will a Eurail Pass Save You Money in Eastern Europe? 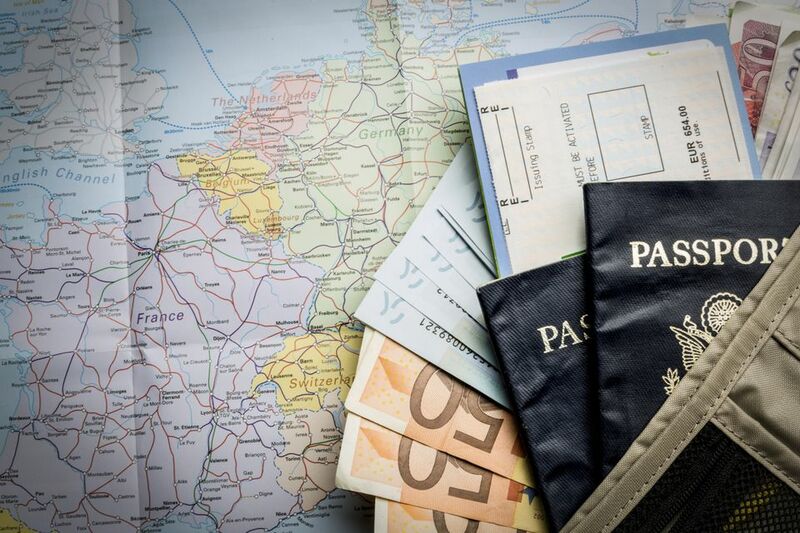 It's well documented that Eurail passes can save you a lot of money if you're planning on traveling through Europe over the space of several weeks or months. What isn't as well documented is whether the passes can save you money in Eastern Europe. I love Eastern Europe because there are fewer tourists than in Western Europe, and because it's extremely affordable. Could it be that Eastern Europe is so affordable that a Eurail pass wouldn't actually offer any real savings? I decided to find out and spent six amazing weeks traveling by train, from the Czech Republic to Turkey. As a general rule of thumb, the further east you travel in Europe, the less comfortable your travel experience will be. Eastern European trains are typically slower, dirtier and bumpier than their Western counterparts, with the only exception being Romania, which has surprisingly comfortable, fast, and luxurious trains! There are certainly more challenges involved with train travel in Eastern Europe, but there are just as many benefits: the trains are less crowded than in Western Europe, you rarely have to make reservations, and they're also extremely cheap. In fact, they're so cheap that you may find a Eurail pass doesn't actually save you any money on your trip. It's also worth mentioning that while there's less comfort associated with train travel in Eastern Europe, it's not in any way dangerous, so don't be put off heading there. Just expect to not have air conditioning or heating, to be jostled around on the bumpy tracks, and to often fail to arrive at your next destination on time. Unfortunately, Eastern Europe isn't as well covered as Western Europe when it comes to using the Eurail Global Pass. It makes sense: it's less touristed and the already cheap fares mean the discounts won't be as great. If you're planning on spending a lot of time in the Balkans, a Eurail pass won't be the best option for you. You won't be able to use your pass in Albania, Kosovo, Macedonia, Montenegro or Serbia. You could use the Eurail Select Pass to visit Serbia and Montenegro but you'd be missing out on some of the greatest countries in the region by doing this. Trains are inexpensive in this part of the world, so don't panic if you're planning a visit -- you can just use the local trains and pay a similar amount to what you'd spend on a Eurail pass. North Eastern Europe isn't well covered either, with Belarus, Estonia, Latvia, Lithuania, Moldova, and Ukraine missing from the list of countries covered with a Eurail pass. In this case, opt to travel by bus, as it's affordable and the major cities in the region are well connected. It's not all bad for Eastern Europe, however, and there are still plenty of countries covered by the pass in the region that you can visit: Croatia, Slovenia, Romania, Bulgaria, Hungary, to name just a few! And trust me: these countries are some of my favorites in all of Europe! Are Eastern European Trains Safe? Eastern European trains are perfectly safe to travel on as long as you exercise common sense and take the same precautions that you would at home. It's no different in terms of safety than train travel in Western Europe (lots of travelers are pickpocketed on trains in Barcelona, for example). Make sure you keep your bags within eyesight at all times, especially if you're going to be sleeping on an overnight train, be wary of any overly-friendly locals who might be trying to scam you, and don't wear anything that looks like it might be expensive. If you’re concerned about safety on overnight trains, it’s possible to reserve a lockable sleeper carriage in advance, but you will pay a lot extra for this. It's your decision as to whether guaranteeing your safety is worth the extra amount of money you'd need to spend. If you can't reserve seats on the train you're traveling on, walk through the carriages to find one with lots of people in: it'll mean you'll be less likely to have anything stolen than if you were in a carriage on your own. If someone attempts to mug you and you realize and shout out, you'll have a whole carful of people who can help stop the thief. It's always worth taking a look at reviews of the particular train route you're taking online in advance to get an idea of what the experience will be like or if you'll have to take added precautions. I decided to fly from Budapest to Kiev, rather than take the train, because of the bad reviews I read online. A Global Eurail pass with a Youth Discount (available for ages 16-26) is $776 and gives you 15 travel days over the space of two months. We decided to put this Eurail pass to the test by creating a typical Eastern European itinerary that passes through the countries that Eurail covers. * Route not listed on RailEurope. Price is from the Bulgarian Railways website. But Is RailEurope the Only Option? Unfortunately, there isn't any way to find out the exact price of a rail route unless you visit each station in person and ask to purchase a ticket. While RailEurope provides a reasonable estimate of the prices you can look at paying, they definitely do charge a lot more than the local rail companies. They can do this because some passengers are happy to pay twice as much in order to have the guarantee that they have a seat on all of the trains they need to take, and that they can have their tickets in hand before they even arrive in Europe. So while the RailEurope prices of train tickets are less than the cost of a Eurail pass, if you were to arrive in a city, head to the train station, and buy a ticket there, you could find yourself paying half as much as the prices quoted above. In this case, a Eurail pass would be more expensive than turning up and buying tickets as you go. Should You Use a Eurail Pass in Eastern Europe? For the route we specified, using a Eurail pass would have saved you money when compared to booking in advance with Rail Europe, but it's not a huge amount. In Western Europe, for example, a month of travel could easily come to $2000 in total. In that case, the Eurail pass makes a lot of sense. In Eastern Europe, the difference in price isn't as extreme. If you want flexibility with your dates and route, don't want to worry about price fluctuations and don't want to waste time queuing for train tickets every few days, you're best to get a Eurail pass. A Eurail pass allows you to jump on any train that doesn't require a reservation (the majority of day trains in Eastern Europe) without having to worry about availability or price. You can make your decisions as you go and don't have to have fixed plans while you travel around the continent. If you're a nervous traveler who likes to have everything booked in advance, already have fixed destinations and date you won't want to change, and would like to arrive in Europe with your tickets already in hand, you'd be best buying your tickets in advance with RailEurope. RailEurope is one of the few websites that allows you book point-to-point tickets in advance in Eastern Europe. Unfortunately, for this service you pay a premium, as evidenced by the prices found on the Bulgarian Railways website above. Alternatively, if you want maximum flexibility, don't mind spending time queuing for tickets and want to take a chance on paying the least amount of money then you'd be best purchasing tickets on a point-to-point basis once you've arrived. Of course, there are no guarantees that you'll find the tickets for cheaper but it's still highly likely.